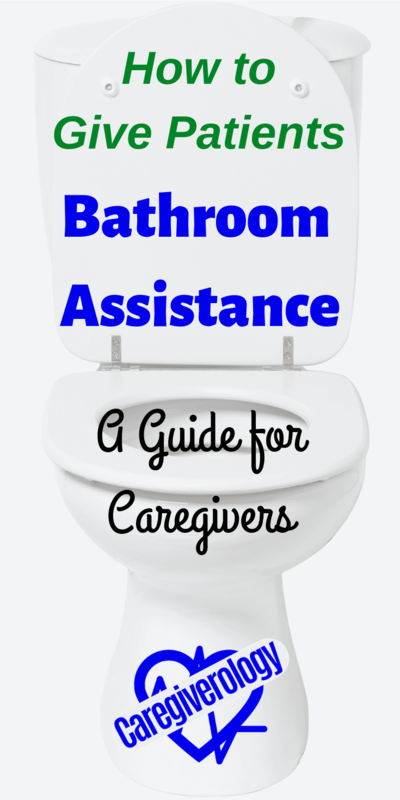 Many patients need bathroom assistance for many different reasons. Yes, there's the obvious reasons like having to urinate or having a bowel movement, but there are others as well. 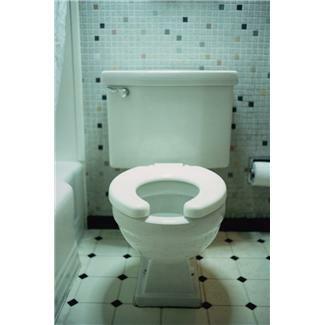 A bathroom is a room everybody uses multiple times a day no matter their age. It is where we go to keep up with our personal hygiene. For that reason, you should make sure you assist your patient to the bathroom as often as necessary even if you think they are overdoing it. 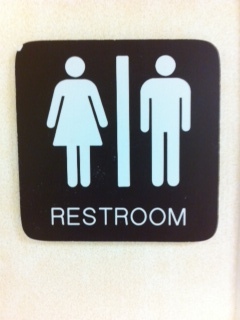 What are some other reasons patients may need bathroom assistance? Maybe they want to give themselves mouth care, denture care, comb their hair, shave, take a bath or shower, etc. Whatever the reason may be, you should respect their wish and help them, unless of course they are on bedrest. If they are, you can still assist them with these things while they are in bed such as giving them a bed bath. How Frequently Should They Go? As people get older, they often need to "go" more often than usual and some even become incontinent. This is especially true if your patient has an IV running to keep them hydrated. Working in a hospital, I have many patients tell me they don't know why they are urinating as much as they are and I have to remind them that they have an IV running. Sometimes different medications can cause them to "go" more frequently as well, or in some cases, the complete opposite. But if your patient is constipated, this can easily and quickly become a problem if not taken care of. As a matter of fact, my hospital has a rule that a patient cannot be discharged if they haven't had a bowel movement in the last 48 hours. They are even more strict about urinating. After a patient has surgery, if they don't urinate within the first six hours, they automatically insert a foley in their bladder. That just goes to show you how important it is. So if your patient isn't going as often as you think they should, take action. 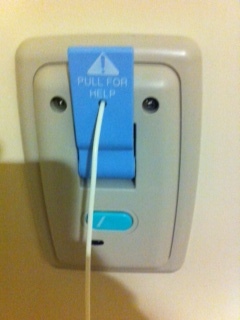 I've noticed the number one reason a patient calls from their call light is because they need bathroom assistance. Even though they may say it that way, they may not literally be able to go to the bathroom. They may need a bedpan, urinal or a bedside commode. These items are especially useful if they cannot ambulate very well or are a high fall risk. But if they can walk to the bathroom, that is the best option. It not only gives them more privacy, it's usually good for patients to move around. They may need the help of a cane walker, or sara stedy. It can speed up their recovery process, or just make them feel better if they haven't gotten much exercise lately. Just be very careful and stay right next to them until they reach the toilet or sink. If they are unsteady, hold onto them and keep asking them if they feel dizzy. Depending on their condition, a cane, walker, or wheelchair may be necessary for extra support. If they are even slightly drowsy or confused, you need to stay in the bathroom with them. Even if they are completely awake and alert, you should at least check on them every few minutes to make sure they are still okay and don't need anything. 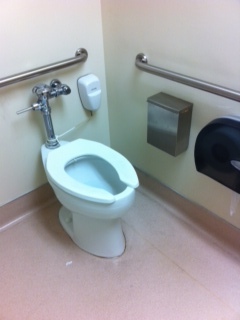 Luckily, my hospital has a pull cord that patients pull whenever they are done in the bathroom. It sounds a bathroom alarm and everybody knows to rush to that patient. There's one by the toilet and one by the shower. Just because your bathroom has this doesn't necessarily mean your patient will use it, especially if they have dementia. I've had patients tell me they would use it but by the time they are done, they forget. When in doubt, don't leave them alone. It's not worth the risk. If they insist on having privacy, wait right outside the door but leave it cracked so you can see inside and listen carefully. If you have to help them to the bathroom, you need to help them back to bed as well. Do not delay if your patient needs bathroom assistance. In many cases, they can only hold it for a matter of minutes or even seconds. There is nothing more frustrating to a patient than having an accident or worse, falling because they didn't receive the help they needed in time. Just imagine if you really had to "go", how fast would you want help?